STEM professionals are paid higher salaries than non-STEM workers, even when education is equivalent. Additionally, STEM careers are fulfilling, and professionals in this field make many positive contributions to the world. Experts have determined the best places for STEM professionals to live by assessing salaries, the opportunity for jobs and the cost of living in these areas. Once you have your STEM degree, where is the best place to live? Here are the best places for STEM professionals to live in 2018, according to Nerdwallet and Wallethub. Seattle was ranked highest for STEM jobs by Wallethub. The more recent (and conventional) top-ranked metropolitan area for STEM workers is Seattle, according to Wallethub. 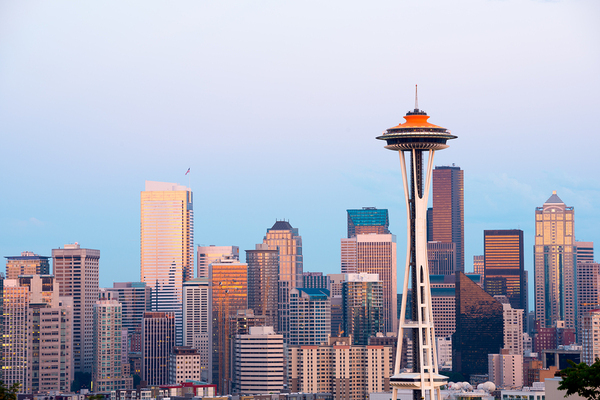 While the cost of living isn’t low in Seattle, salaries are some of the highest, and there are many opportunities available in aerospace, engineering and computer science. Most notably, Microsoft and Amazon are headquartered in Seattle, but many other tech and tech-heavy companies are also based there, including Expedia, Zillow, Zulily and Tableau. Huntsville was Nerdwallet’s top pick in their 2016 survey because the area has a lower than average cost of living but higher than average STEM salaries—$95,150 in Huntsville vs. $84,222 nationwide. A strong aerospace presence by the NASA Marshall Space Flight Center and a research park with representation by dozens of tech companies combine to make the ranking as high as it is. Sure, the cost of living in San Jose, Sunnyvale, and Santa Clara, California is sky high, but salaries are higher to compensate for that, and Silicon Valley remains the hotbed of tech companies, many of which are looking to hire as they grow and expand. Boston ranked second on Wallethub’s list for 2018—not so much because of any single, dominating company, but because of a recent rejuvenation of medium-sized tech companies in the area. This rejuvenation makes the job market an active one. 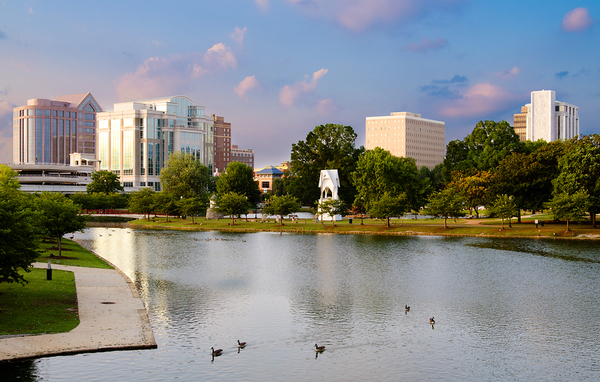 Huntsville, Alabama offers many STEM opportunities with a lower cost of living than other tech hubs. Ranking fourth on Wallethub’s list, Austin has become a major destination for tech startups, but one drawback is that startup salaries typically lag a bit behind salaries at more established companies. The good thing about Austin is that the cost of living; while it’s high for the South, it’s still relatively low as compared with other major cities, which helps to compensate for the lower starting salaries. And as startups grow into more successful and established companies, salaries are bound to rise as well. The three cities of Palm Bay, Melbourne and Titusville, Florida make up the Space Coast, which is a major hub for aerospace jobs. Kennedy Space Center and Cape Canaveral Air Force Station are both in this area, and private companies like Lockheed Martin and Northrup Grumman add to the available positions in the area. Cost of living and salary here are somewhere in the middle of Huntsville and Silicon Valley, making it a reasonably affordable place to live. Pittsburgh has a combination of nearby engineering schools, low unemployment for STEM fields, and about nine STEM job openings per graduate, according to local information. Cost of living is also low compared to other metropolitan areas with a median rent of just $743 (compared to Silicon Valley, where the median rent was a whopping $1779, for instance), so your salary will go a lot farther. Boulder has many different kinds of STEM companies in the area, including a strong aerospace presence, over 260 cleantech companies, research facilities, and federal offices related to STEM fields including the National Oceanic and Atmospheric Administration and the National Weather Service. Median rent of around $1200 a month suggests that cost of living is a bit higher than some other areas, but salaries are also above the national average as well. Nearby Colorado Springs and the Denver/Lakewood area were also higher up on Nerdwallet’s list and seem to have lower costs of living than Boulder. While these two cities themselves may not have a large concentration of STEM companies, they are both a train ride away from New York City and Philadelphia where more opportunities may exist. The proximity of Princeton University also boosts STEM job opportunities for teaching and research in the immediate area as well. Rents in the area are slightly less than Boulder, and salaries are slightly higher, so you may get a bit more bang for your buck here than some other areas on the list. Salt Lake City is showing strong growth in STEM opportunities along with having a high number of women in these fields. Many STEM companies have locations in the Salt Lake City area, and there are also several universities nearby with teaching and research opportunities. Cost of living is on the low side compared to some of the other areas on the list. There are thousands, maybe millions of STEM jobs in demand across hundreds of cities across the U.S., but if you want to go to where the most and best jobs are available, this list is a good start. Florida Tech has dozens of STEM degrees to get you on your way to a great career, no matter which area of STEM interests you the most. Learn more about our Computer Science program to get started on your way to a bright future filled with opportunities.